Located in the Moulin de Massy business district and the financial hub of Antonypole, the ibis Massy hotel is just 1.9 miles (3 km) from the Massy TGV train station. Accessible via the A6, A10 and N20 highways, this hotel is located just 6.2 miles (10 km) from Orly Airport and 11.8 miles (19 km) from the center of Paris. It offers 68 fully renovated and air-conditioned rooms and a 24-hour bar. The hotel operates a no-smoking policy and has high-speed fiber-optic WIFI and a free outdoor car park. 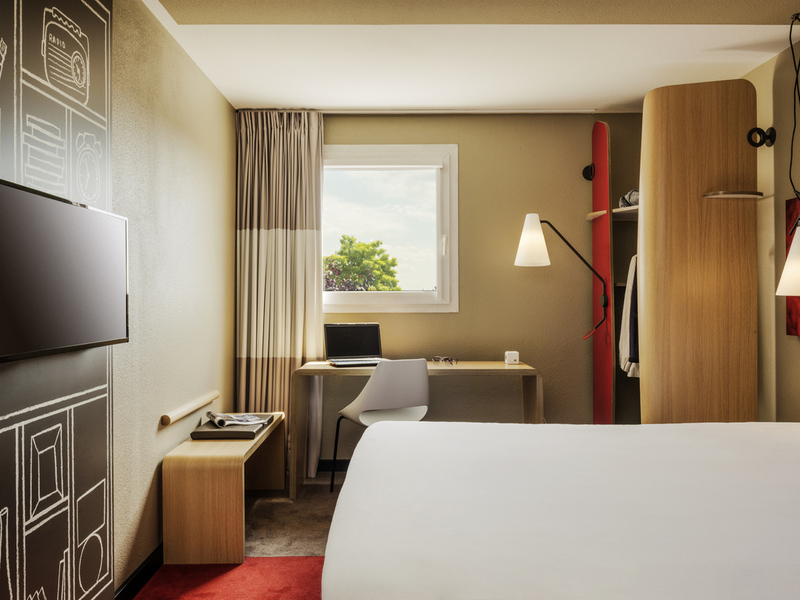 Equipped with the new Sweet Bed by ibis bedding, the practical and inviting ibis room has everything you need to enjoy your stay: air conditioning, a large cozy bed, desk, broadband, 32-inch flat screen TV with beIN sports and a bathroom with toilet. Sköna tysta rum och AC vilket behövs i Frankrike under sommarmånaderna. Bra bufféfrukost. Bra. Rent och snyggt. Dåligt med parkeringsmöjligheter om man kommer sent. Vänlig personal. Ni säger att ni inte hittade mina hörapparat. Den glömdes på rum 220 vid sängenbordet på höger sida. Dåligt att ni behöll dem.